Home Cryptocurrency WaltonChain Guardian Masternodes announced! WaltonChain recently announced Guardian Masternodes on Twitter! That led to a bit of FOMO, because everyone wanted to get their seat for a Guardian Masternode. On December 5th, WaltonChain is rolling out a Guardian Masternode program. 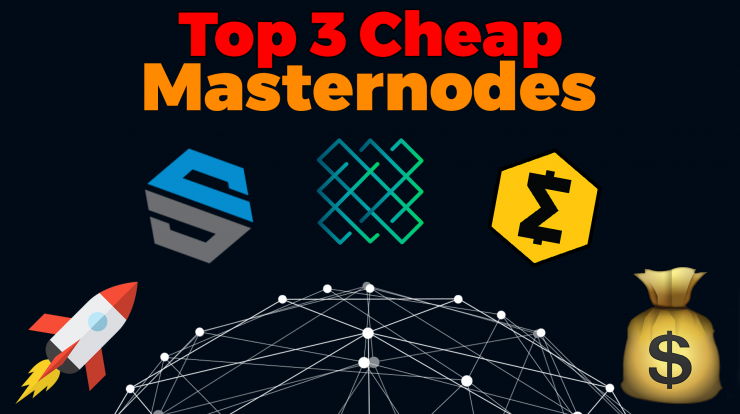 These super-class Masternodes represent the greatest level of seniority achievable. Exceptionally high performing Guardian Masternodes have the opportunity to unlock even higher levels of rewards. These Guardian Masternodes will stand as the exemplars for the Waltonchain vision for VIoT. The incentives that come with running Guardian Masternodes will ensure that they remain the base of our blockchain, always on and guarding the chain from malice, now and in the future. Are the most senior of Masternodes that WTC token holders can attain. Stabilize the network using Proof of Work. Can permanently enjoy the lowest mining difficulty and highest reward rating of any Masternodes. Are rated based on a calculation of performance and reliability. Are initiated at Guardian Masternode level I. Can unlock new levels of rewards by extending performance and reliability over time. Each successive promotion has an incremental increase in reward rating and/or decrease in mining difficulty. The theoretical maximum achievable level for a Guardian Masternode is IX. How to be eligible for a Guardian Masternode? Hold a minimum of 5000 WTC tokens starting from 00:00:00 UTC on December 10th, 2017 in a trackable wallet (such as MEW). Registration is automatic. 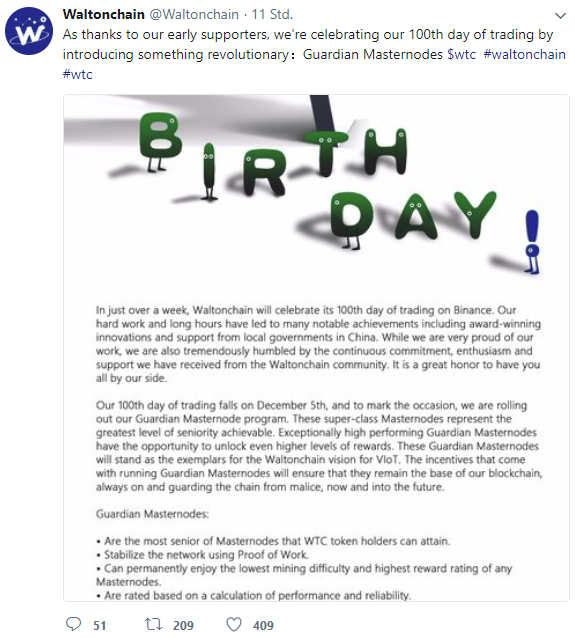 Guardian Masternodes will transition from trackable Ethereum wallets to Waltonchain’s own wallet at the time of its release. 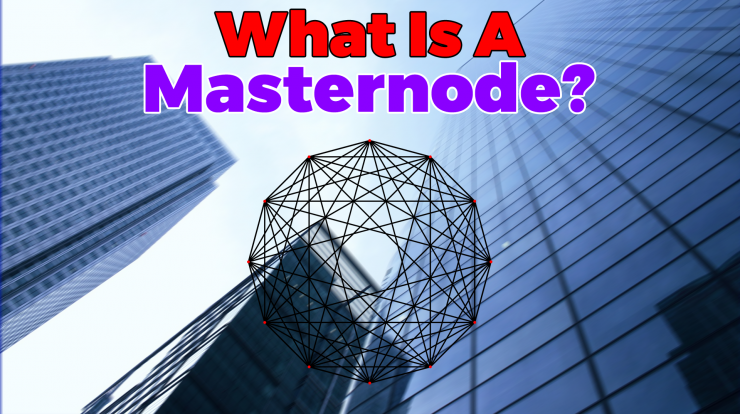 The honorable title of Guardian Masternode will be bestowed once successful mining of its first block has been completed within a time frame to be determined. 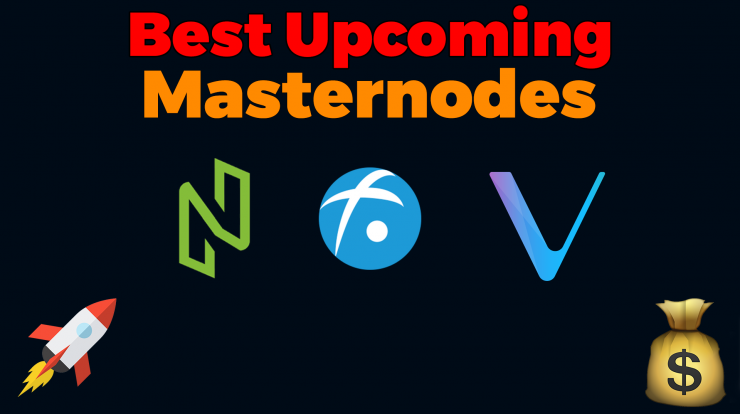 Multiple wallets qualifying as Masternodes at 00:00:00 UTC on December 10th, 2017 will be subject to more rewards than singular wallets with higher levels of WTC. E.g., one 10k WTC Guardian Masternode will generate fewer rewards than two 5k WTC Guardian Masternodes. “All distinctions are relinquished if the number of WTC held drops below 5000, and as with regular Masternodes, seniority will be reset.